One of the reasons I’m immensely interested in modern virtual reality is because I no longer play video games. I know that sounds odd but hear me out. Gaming has always been a social event for me. As a kid, grew to love console gaming as I could play locally with neighborhood friends. 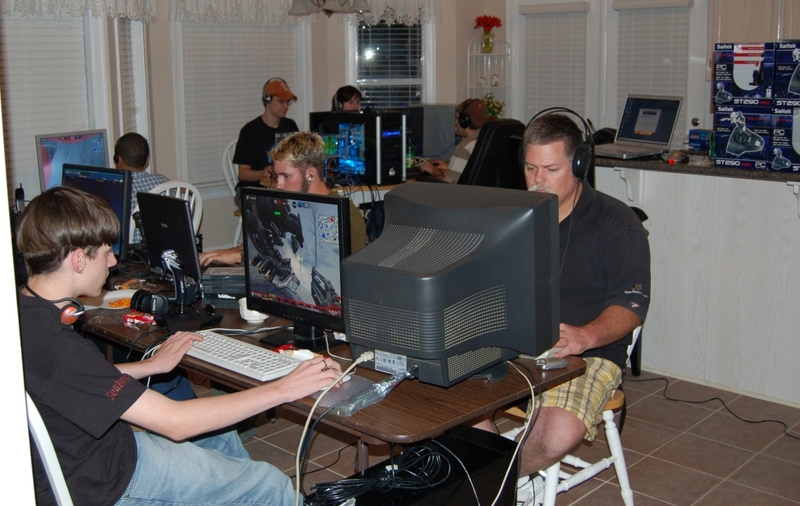 In my teenage years, the PC replaced consoles and LAN parties became a favorite pastime. Ironically enough, I began to lose interest in gaming around the time Internet connections reached a point that made online gaming feasible. It also didn’t help that my core group of friends and I were transitioning into adulthood with real jobs and responsibilities (aka, less time to hold LAN parties). Being able to fire up a PC or console, pop on a headset and join a party chat is incredibly convenient but it’s just not the same as physically playing alongside your best buds. Modern “social” aspects like leaderboards, achievements and sharing milestones on social media do nothing for me (in fact, they’re more of a turnoff than anything else). If you’ve never experienced an intimate LAN party (one with a handful of friends versus a mega event like Dreamhack) then it’s probably difficult to relate. When the Oculus Rift first debuted on Kickstarter roughly four years ago, I subconsciously invested in the idea that virtual reality as a platform might somehow restore the social element that has been stripped away from gaming. Apparently I wasn’t the only person that shared this idea. Developer Darshan Shankar has been working for years on a project to do just that. BigScreen allows you to bring your entire Windows desktop into the virtual world. What really makes this experience unique is that you can invite up to four other people into the virtual world as well and they can bring their own displays. In essence, it’s a virtual LAN party complete with positional audio. All you need to do is supply your own snacks. Darshan said they’re working on multi-monitor support but as you can imagine, that’s a bit tricky and involves a lot more bandwidth – something that’s already at a premium, especially if you’re a cord-cutter. As it stands today, streaming your monitor to three other users in 1080p quality likely necessitates a connection with 5-10Mbps upload speed according to Darshan. BigScreen arrives on Steam this Thursday (April 28) and offers cross-platform support meaning Oculus Rift and HTC Vive users can mingle in the virtual world. It’ll be free initially although the development team may charge for cosmetic upgrades down the line (think avatars, special environments and so on). In my opinion, the whole idea of a LAN party is to hang out with friends (playing games is just an added bonus). There was a lot of time and effort involved in setting up even a small (8-10 player) LAN party but in retrospect, it was well worth it. In lieu of a real LAN party, BigScreen looks to be the next best thing. I'm keeping my fingers crossed that it doesn't disappoint.